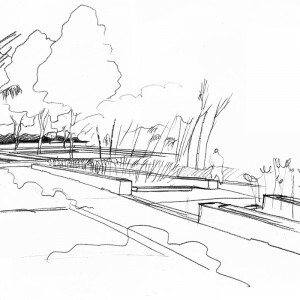 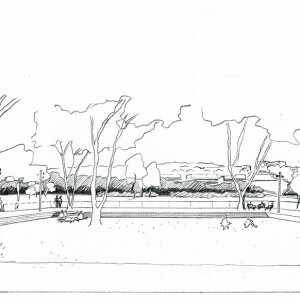 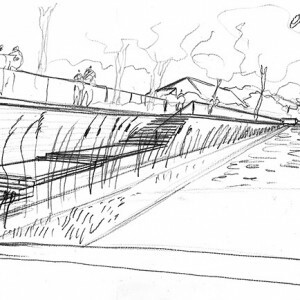 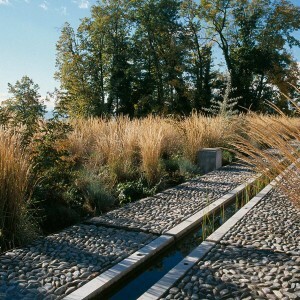 We believe that the work of a landscape architect should be based on a deep knowledge of the natural conditions, topography and hydrography which form the constant, universal and unique shapes of the land. 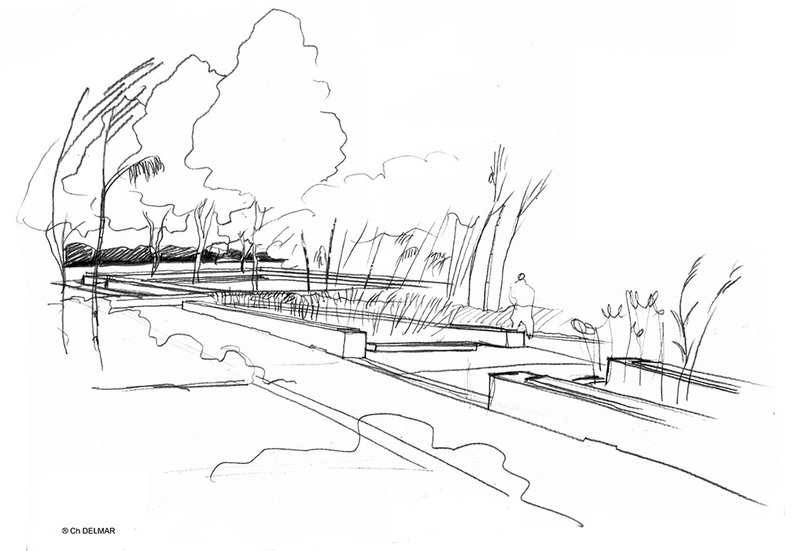 The project lies somewhere between interpretation and creation. 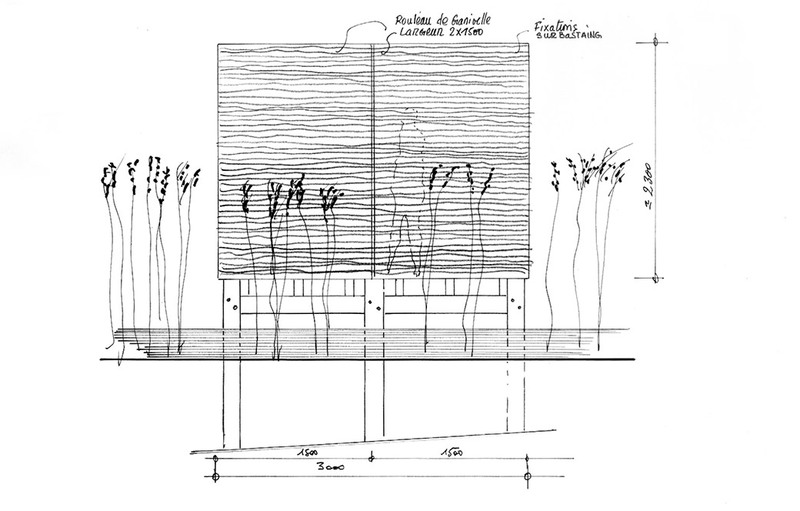 Its tools are the transcription of the identity which shapes the land and creates ecological chains, making it comprehensible. 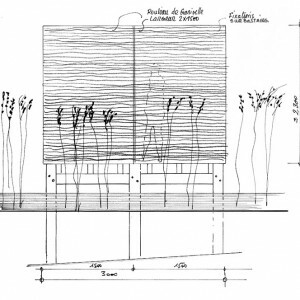 It creates concrete, real forms, part of a longer-term dimension, expressing the identity and uniqueness of every place. 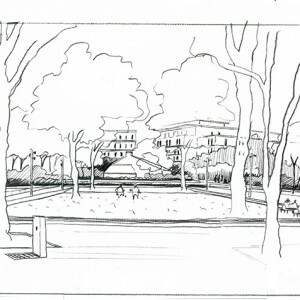 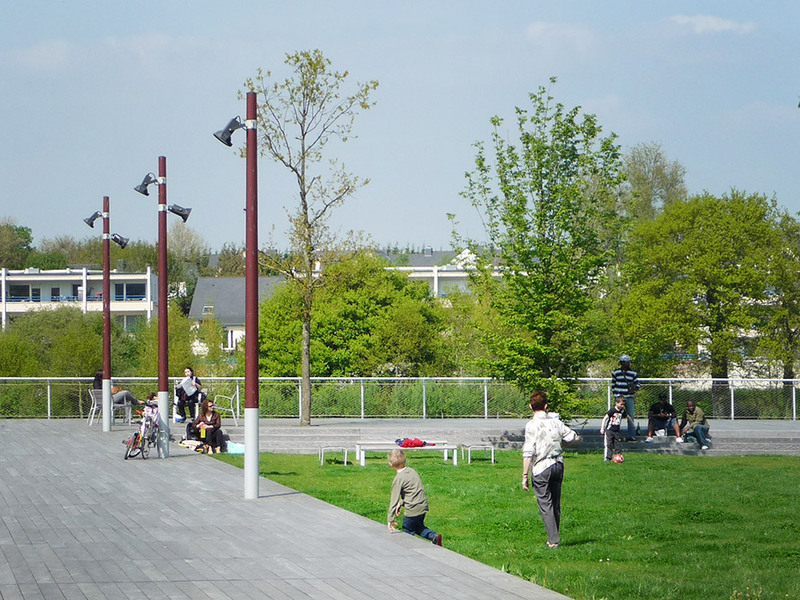 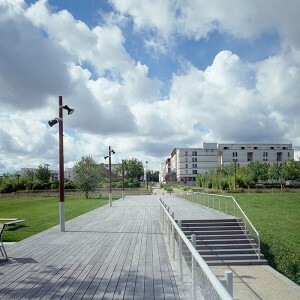 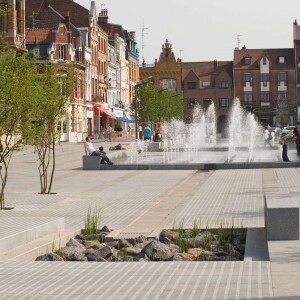 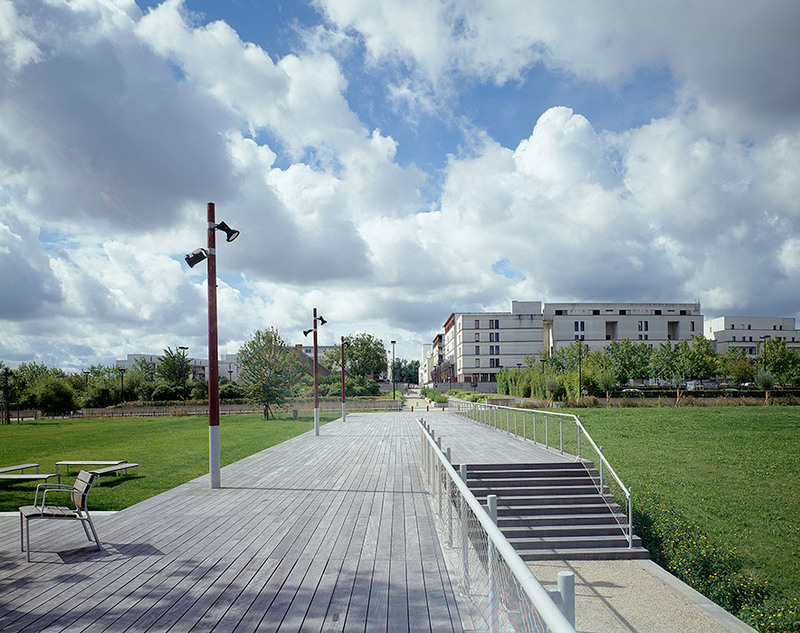 St Jacques Park, then, naturally becomes part of a territorial, historical, sociological and political context and time which constitutes the particularity of the urban project in the city, leading to renewal. 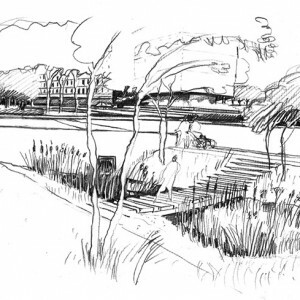 This urban project has, since the 1990s, brought physical continuity to the community, reconciling economic development with the preservation of the natural environment, a phenomenon that is seldom seen on the edges of cities. 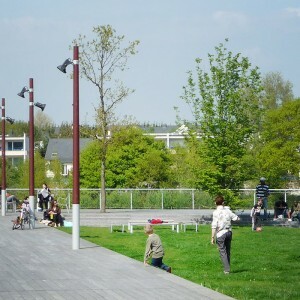 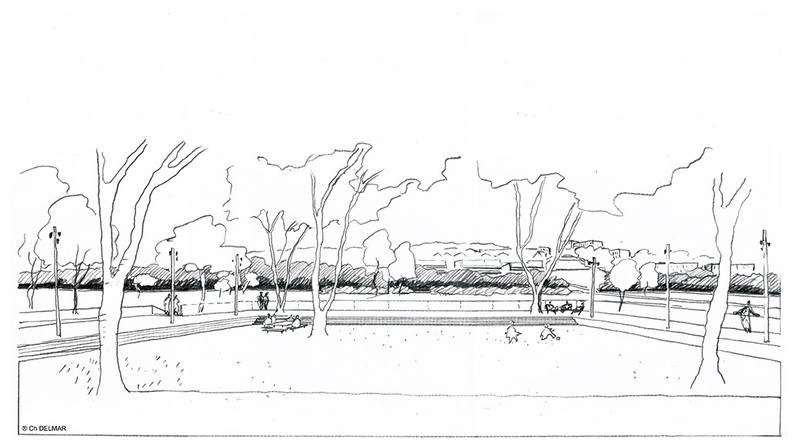 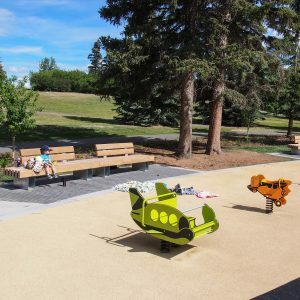 Designed with the participation of local residents, the park has an open form and is located on the dividing line between neighborhoods. 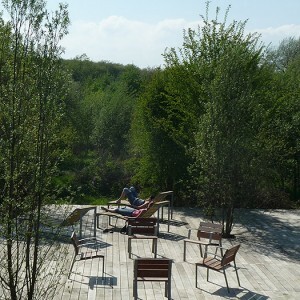 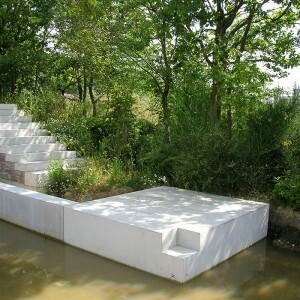 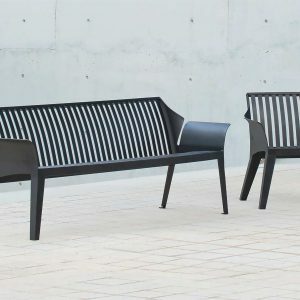 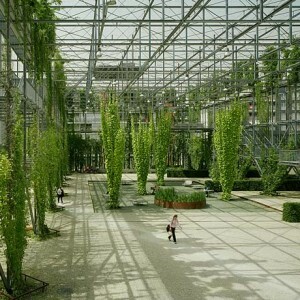 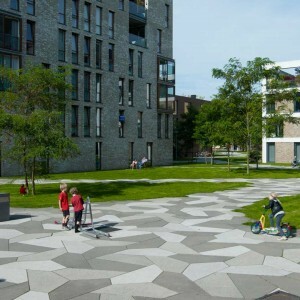 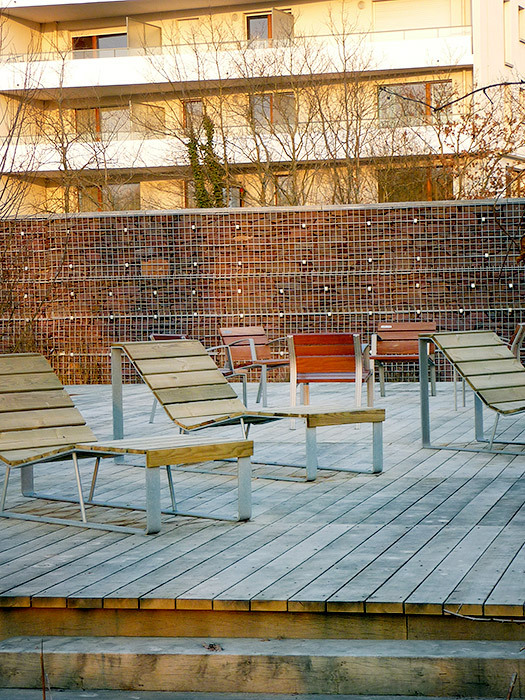 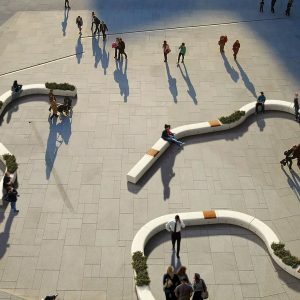 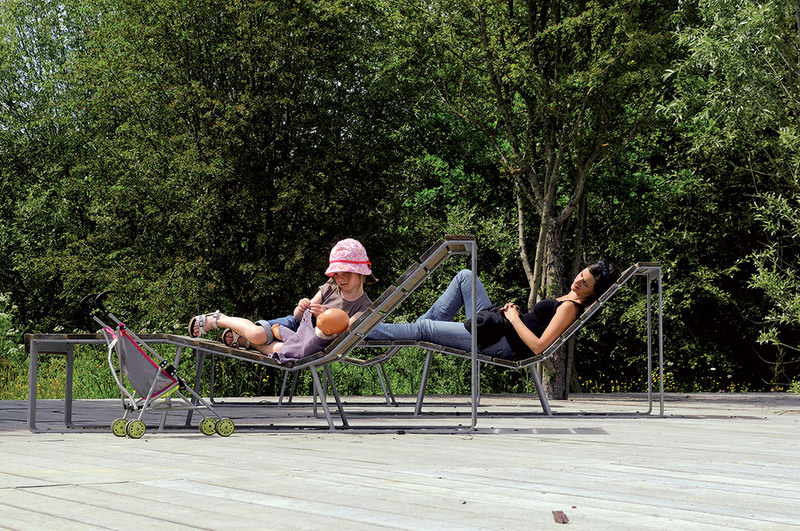 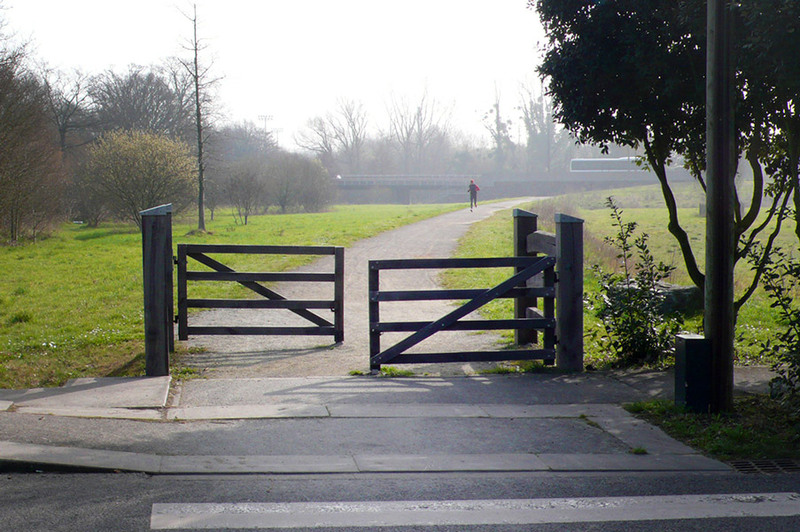 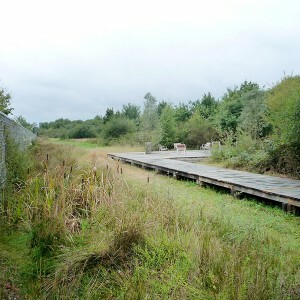 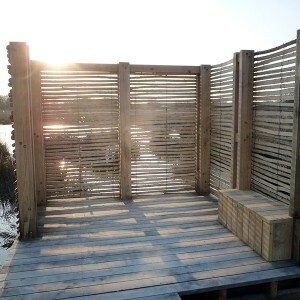 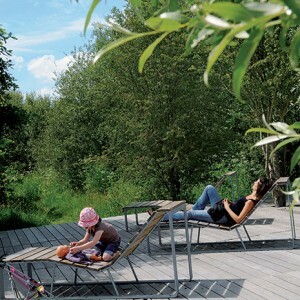 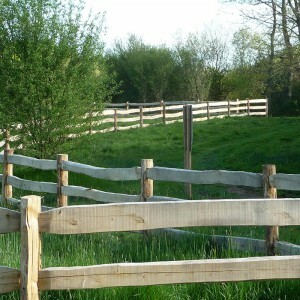 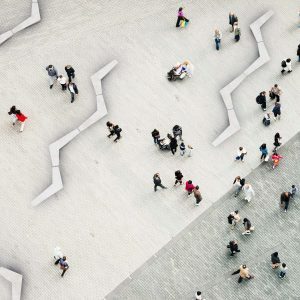 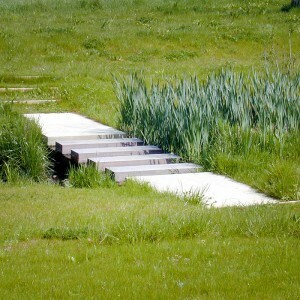 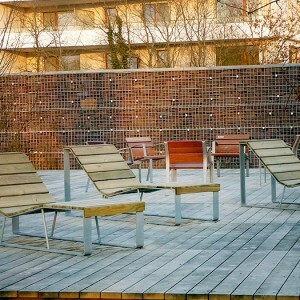 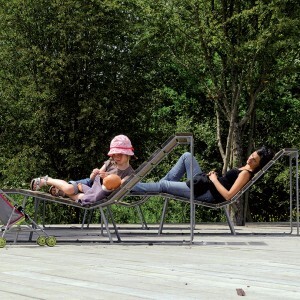 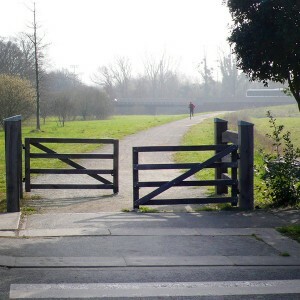 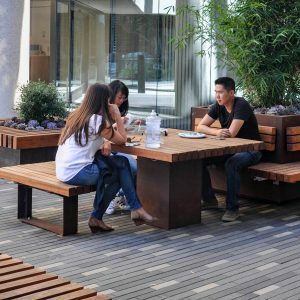 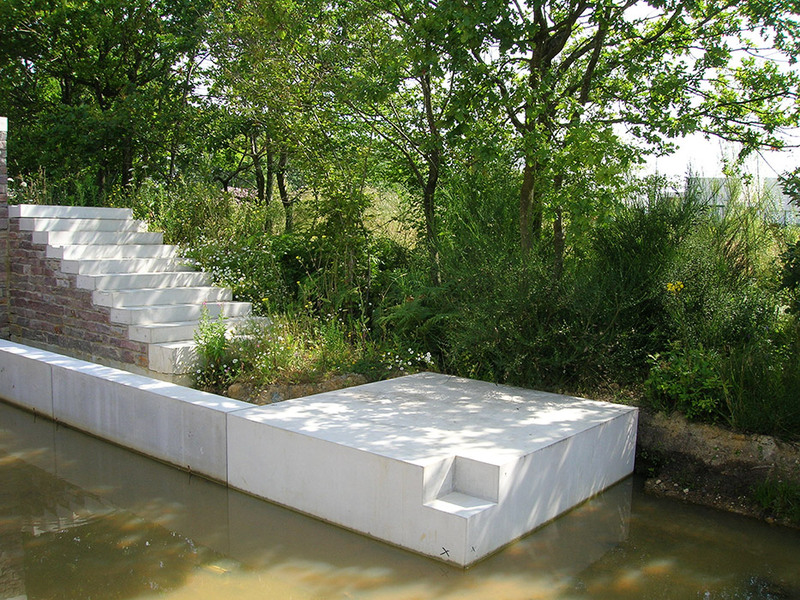 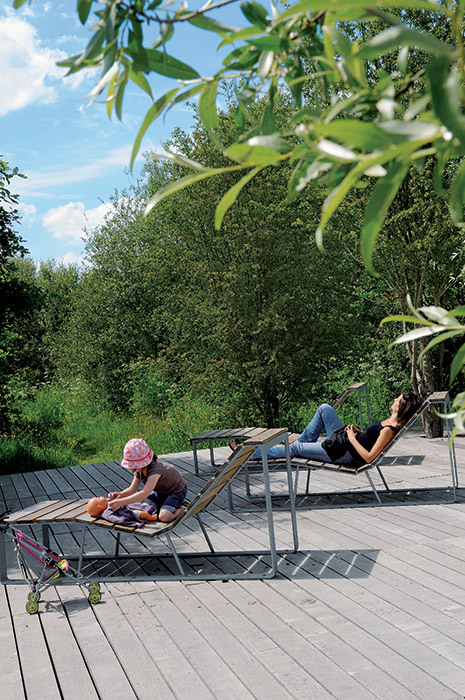 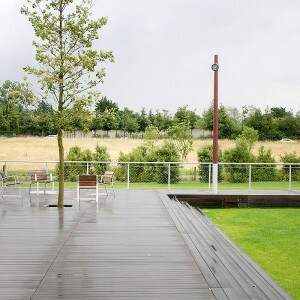 It provides them with smooth connections and strengthens the link between uses and the landscape as a whole. 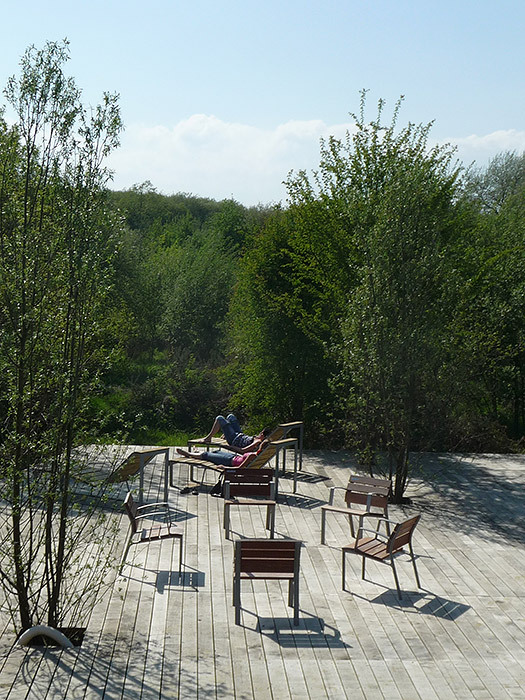 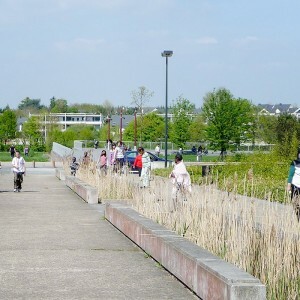 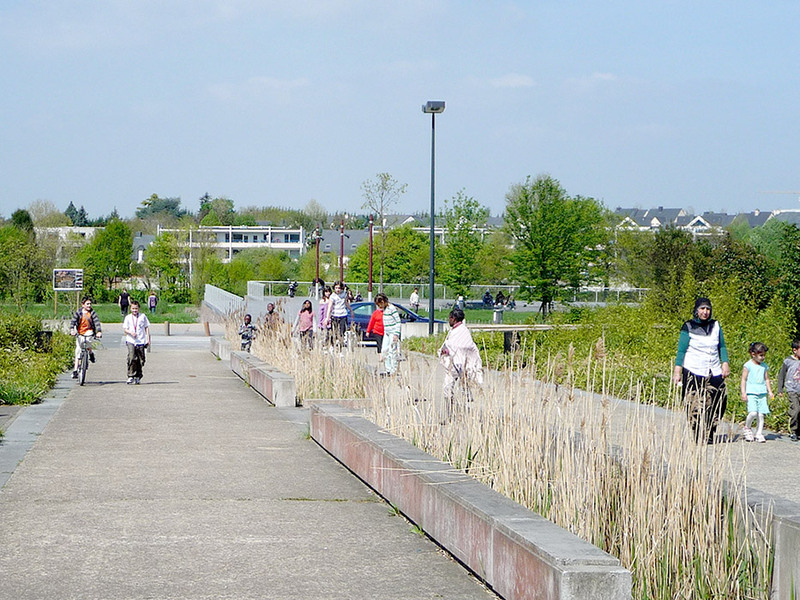 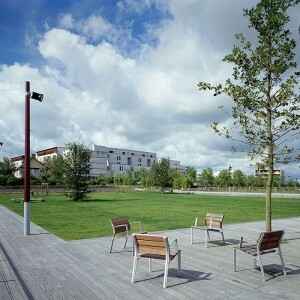 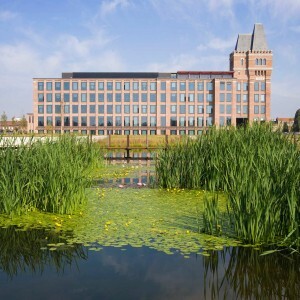 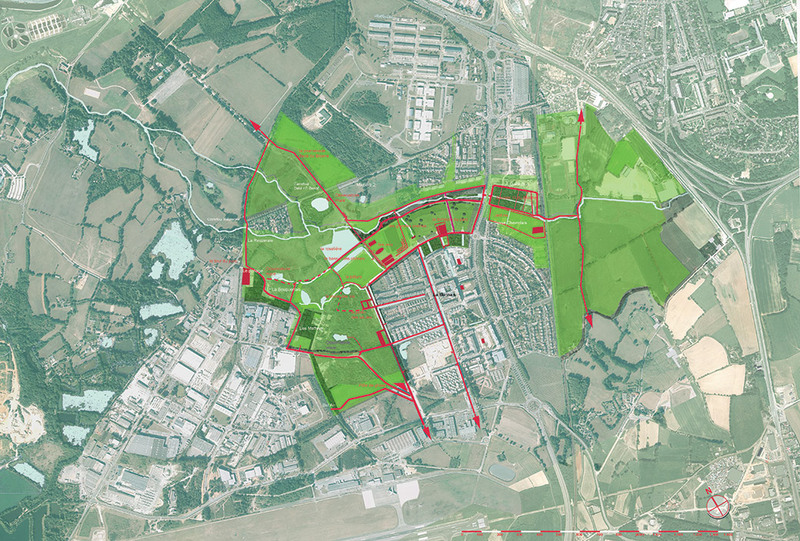 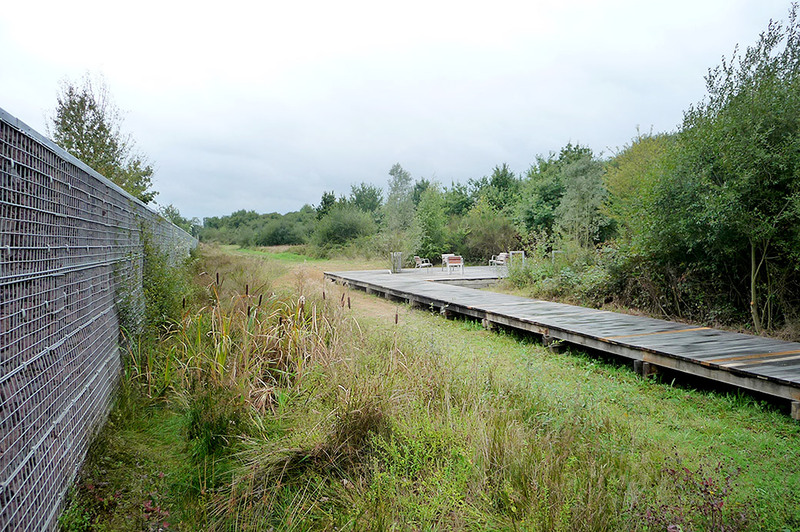 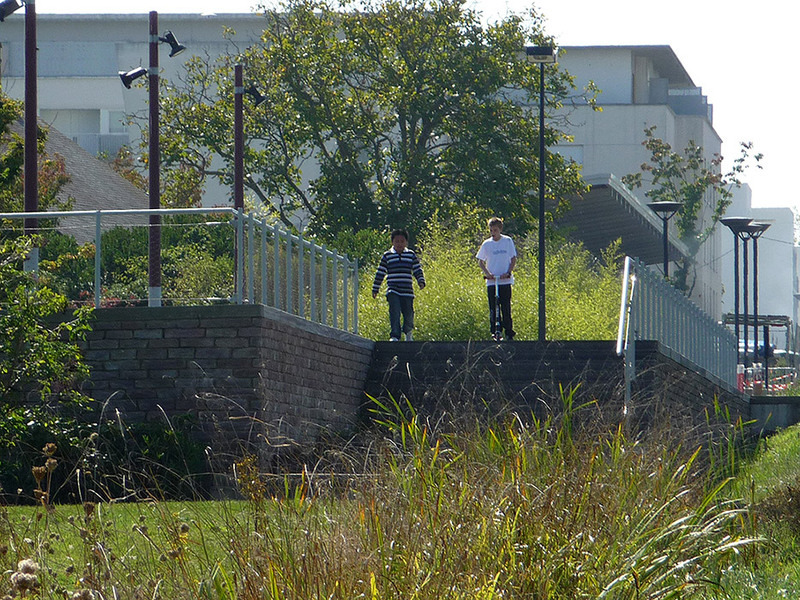 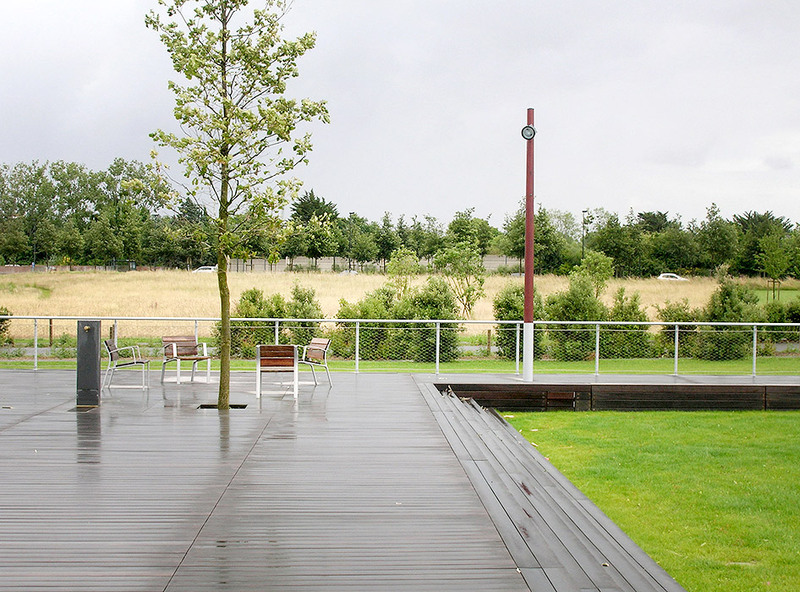 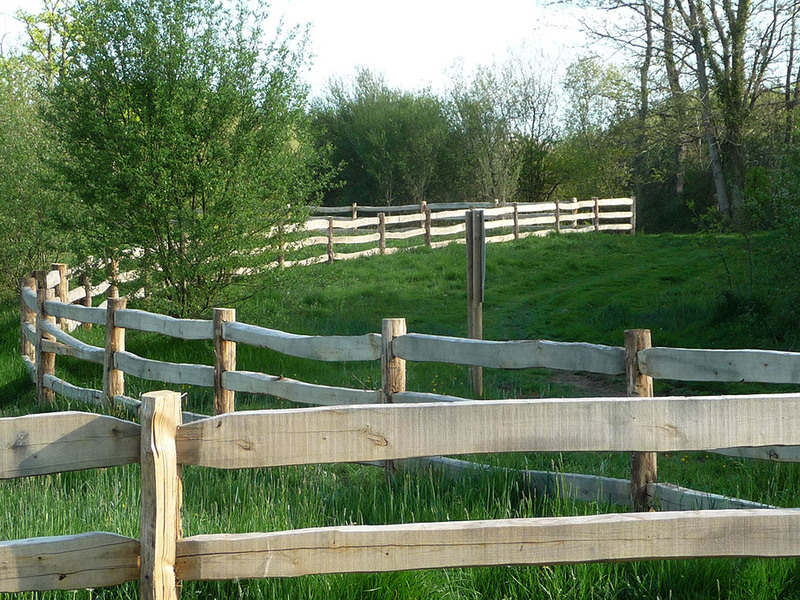 Located at the bottom of a valley, this 40-hectare piece of hybrid nature, with traces of agricultural practice and a dynamic of renaturalisation, helps to integrate the forested landscape of la Vilaine with the city of Rennes. 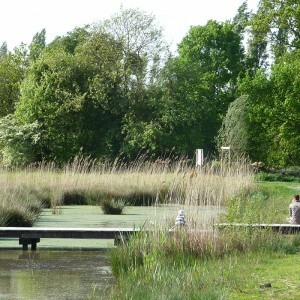 Water, being the resource that it is, forms the shapes of the park and asserts its presence on all scales. 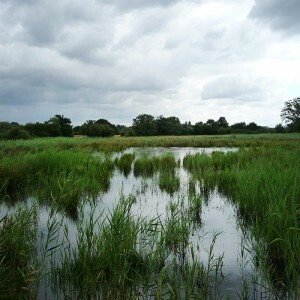 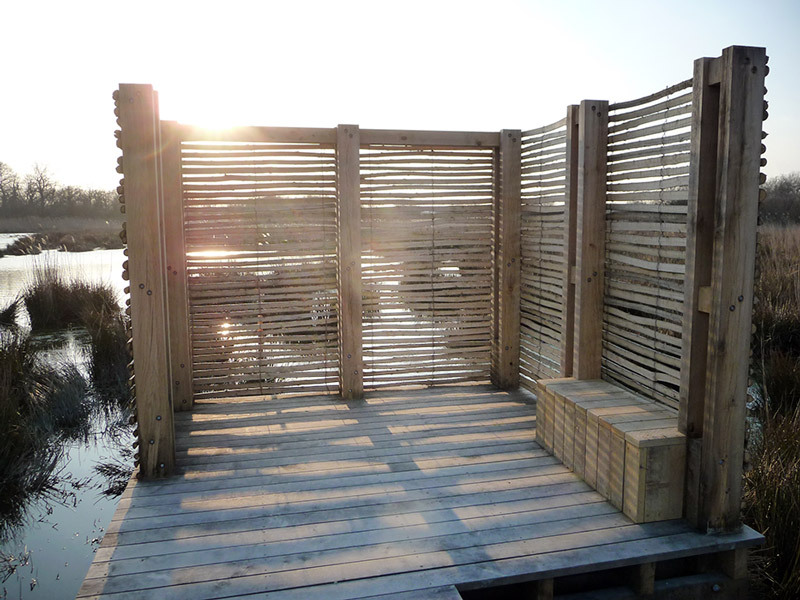 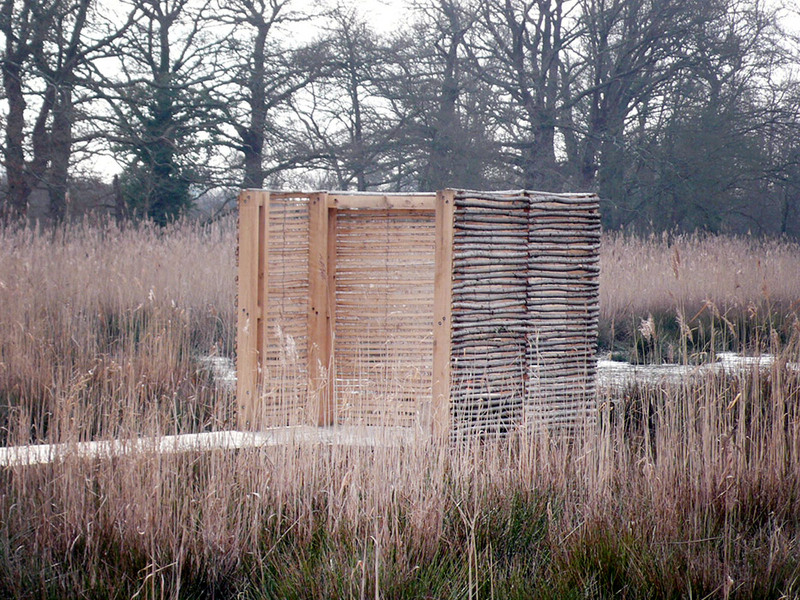 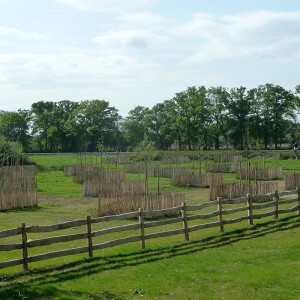 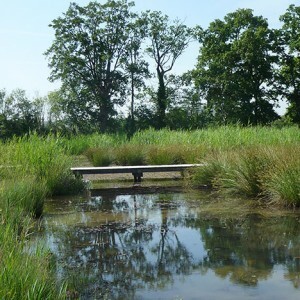 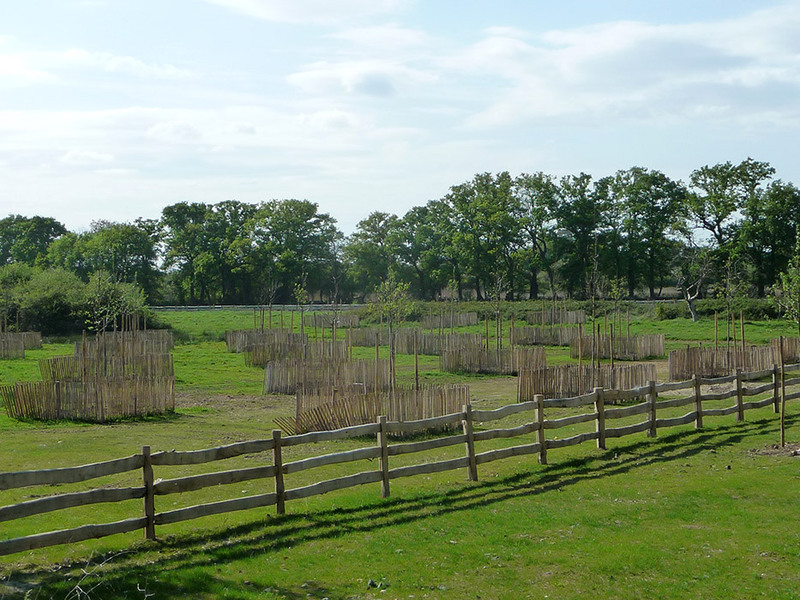 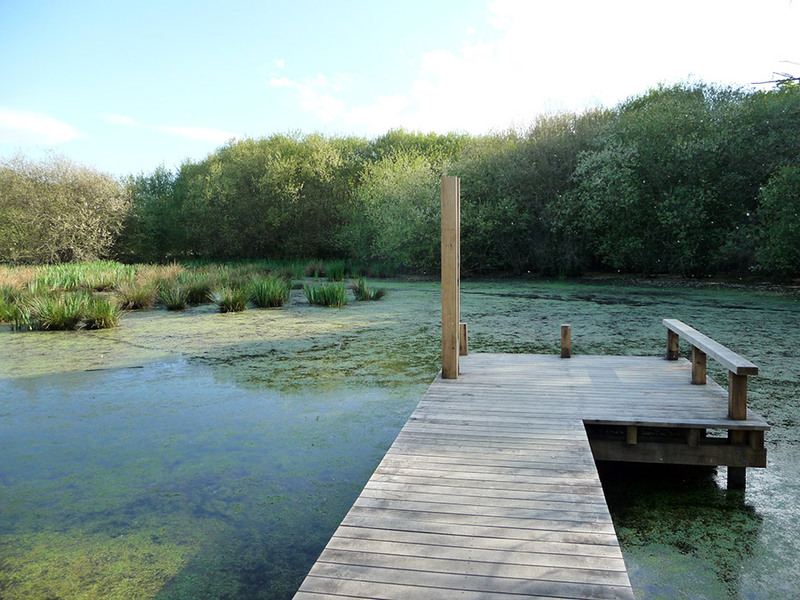 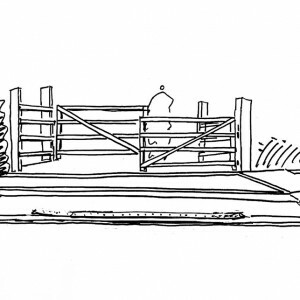 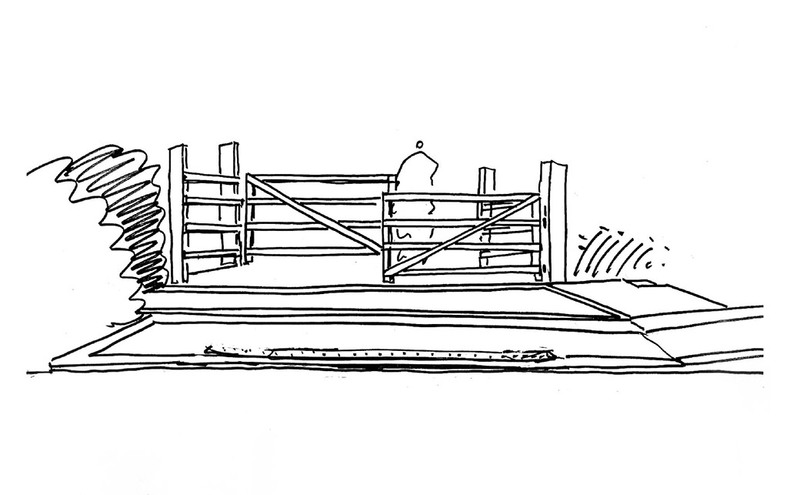 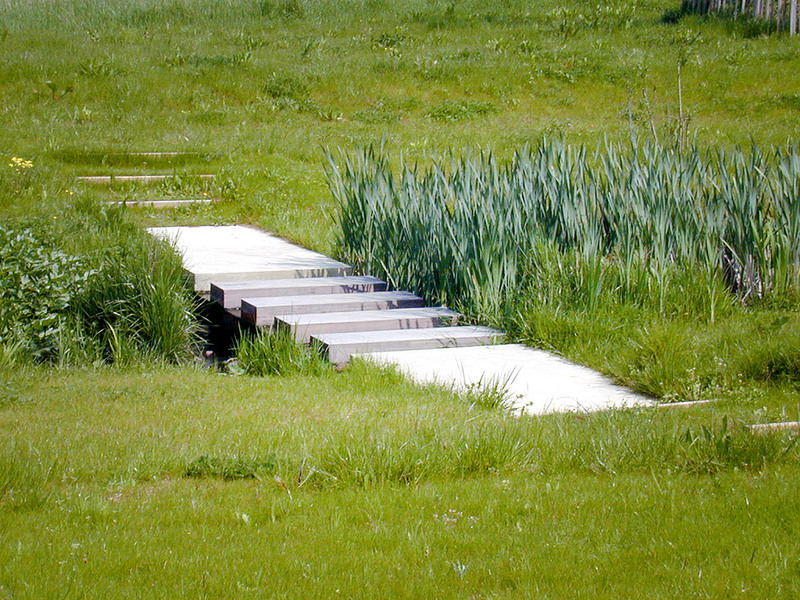 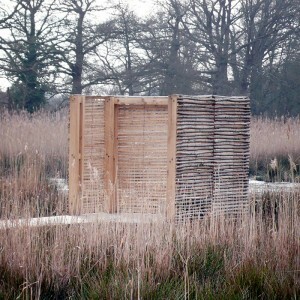 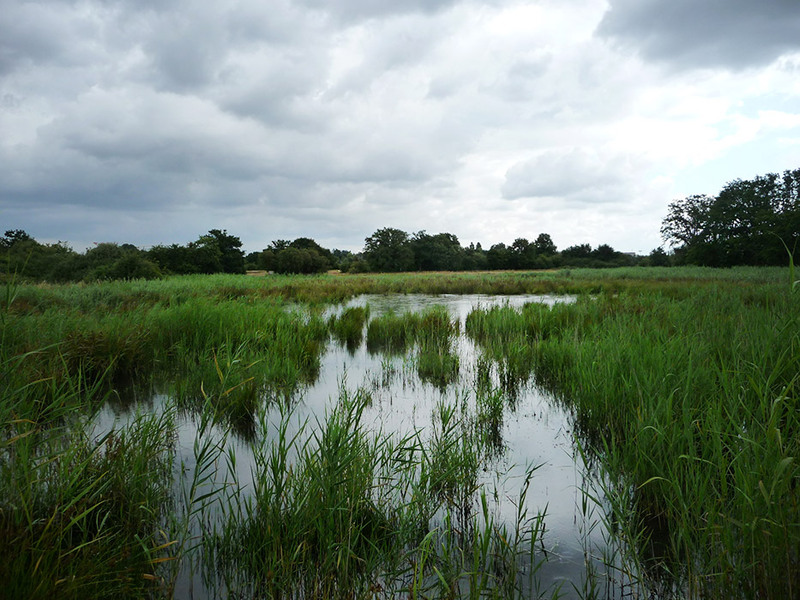 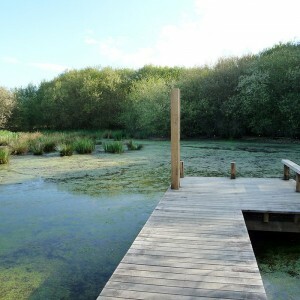 The formation of a lake with lines of oak trees, the creation of a reed bed providing phyto-purification of runoff water, and the range of small constructions with thresholds, spaces, and the collection and discharge of water all help to define and reveal this topographical and ecological creation. 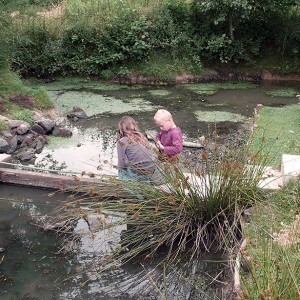 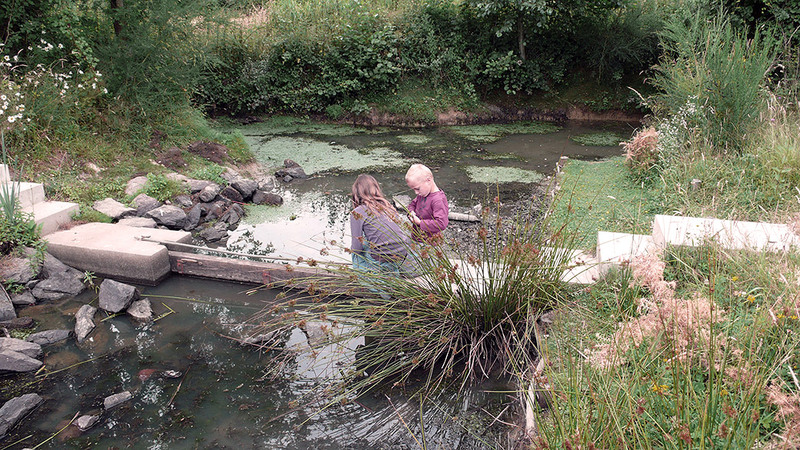 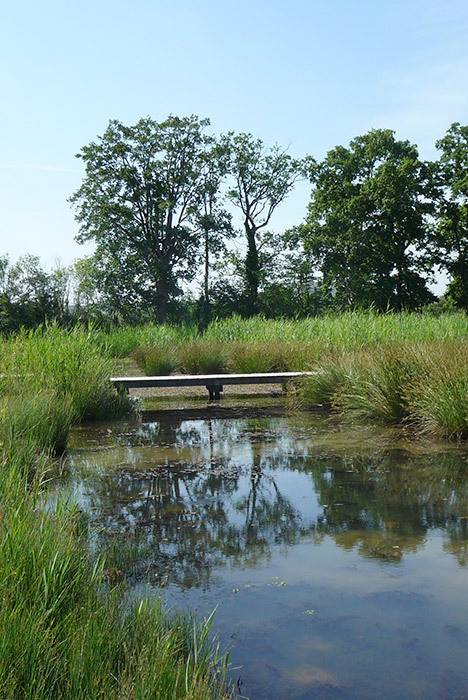 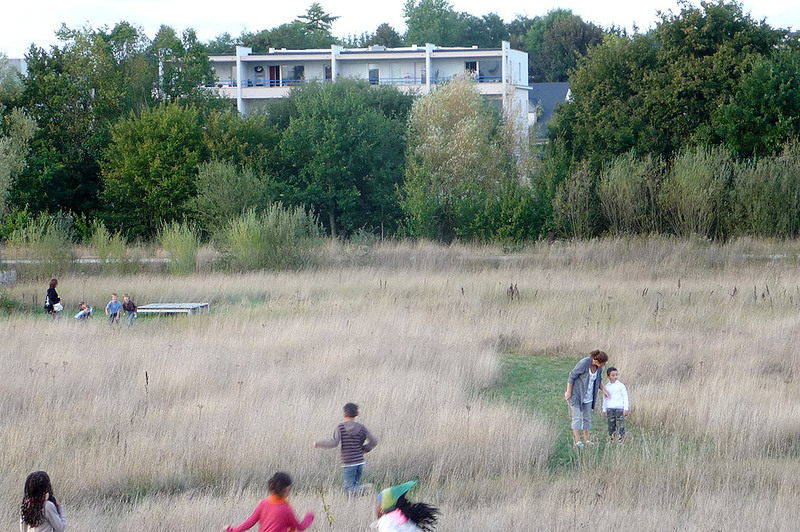 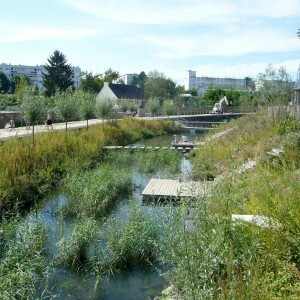 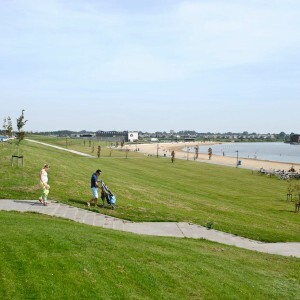 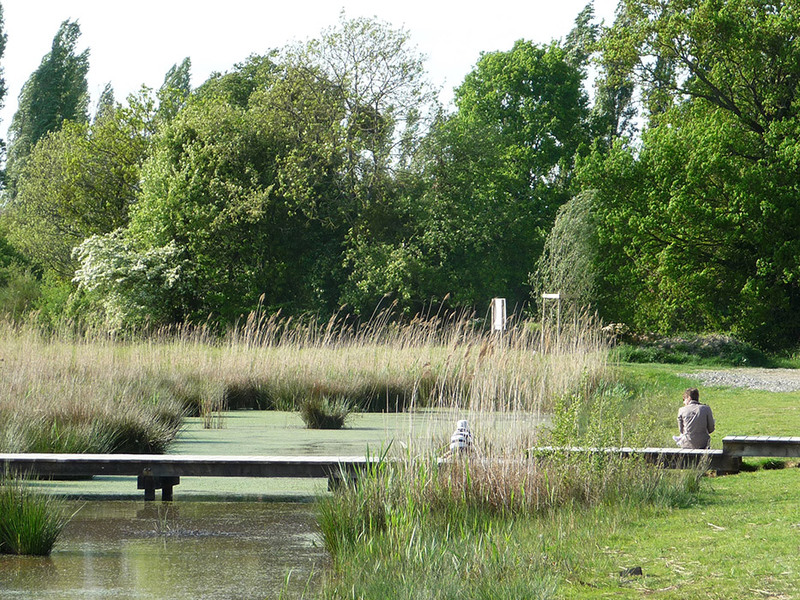 St Jacques does not conform to the fixed image of a typical park, but aims to be a permanent laboratory for the protection and development of its ecosystems. 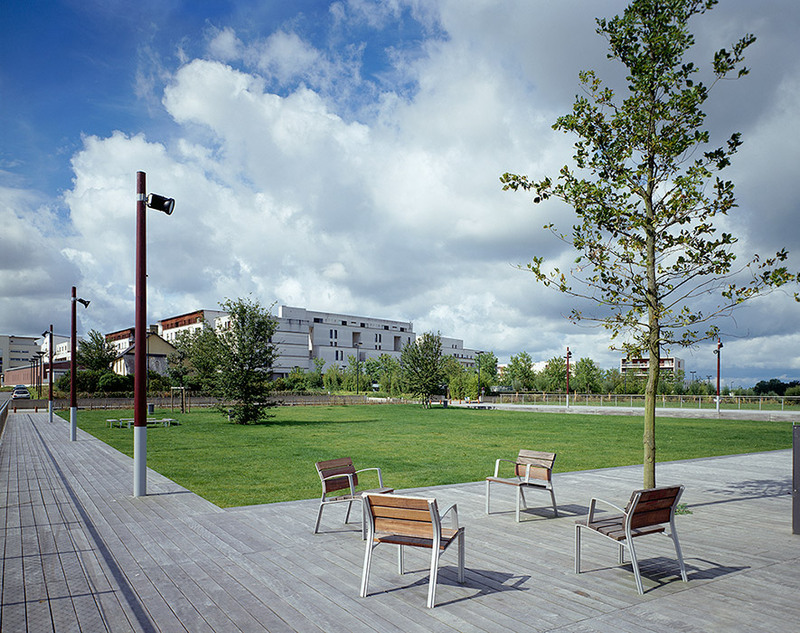 This dimension, built on geography, history, the use of the land and the passing of time, gives this contemporary park its identity. 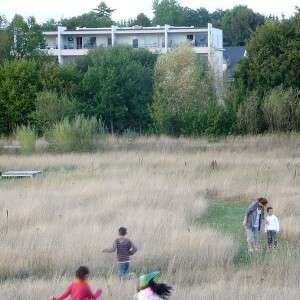 Location: 35136 Saint Jacques de la Lande, Ille & Vilaine (35), France.